"Clearly, a robust commercial SMR industry is highly advantageous to many sectors in the United States," concluded the study, led by Robert Rosner, institute director and the William Wrather Distinguished Service Professor in Astronomy & Astrophysics. "It would be a huge stimulus for high-valued job growth, restore U.S. leadership in nuclear reactor technology and, most importantly, strengthen U.S. leadership in a post-Fukushima world, on matters of nuclear safety, nuclear security, nonproliferation, and nuclear waste management," the report said. The SMR report was one of two that Rosner rolled out this month at the Center for Strategic and International Studies in Washington, D.C. Through his work as former chief scientist and former director of Argonne National Laboratory, Rosner became involved in a variety of national policy issues, including nuclear and renewable energy technology development. The U.S. Department of Energy funded the reports through Argonne, which is operated by UChicago Argonne LLC. The principal authors of the report were Rosner and Stephen Goldberg, special assistant to Argonne's director. The first report, "Analysis of GW-scale Overnight Costs," updates the overnight cost estimates of the 2004 report. Overnight costs are the estimated costs if you were to build a new large reactor 'overnight,' that is, using current input prices and excluding the cost of financing. Few companies can afford to wait that long to see a return on the $10 billion investment that a large-scale nuclear plant would require. "This is a real problem," Hamre said, but the advent of the small modular reactor "offers the promise of factory construction efficiencies and a much shorter timeline." Natural gas would be the chief competitor of nuclear power generated by small modular reactors, but predicting the future of the energy market a decade from now is a risky proposition, Rosner said. "We're talking about natural-gas prices not today but 10, 15 years from now when these kinds of reactors could actually hit the market." The economic viability of small modular reactors will depend partly on how quickly manufacturers can learn to build them efficiently. "The faster you learn, the better off you are in the long term because you get to the point where you actually start making money faster," Rosner noted. An important safety aspect of small modular reactors is that they are designed to eliminate the need for human intervention during an emergency. In some of the designs, Rosner explained, "the entire heat load at full power can be carried passively by thermal convection. There's no need for pumps." Getting the first modular reactors built will probably require the federal government to step in as the first customer. That is a policy issue, though, that awaits further consideration. "It's a case that has to be argued out and thought carefully about," Rosner said. "There's a long distance between what we're doing right now and actually implementing national policy." 1) I've always been lead to believe that larger means more efficient, in terms of power per cost, excluding loss of efficiency from longer distance transmission of power. 2) How modular can they go, when each cooling/water system will need to be unique to the physical landscape of the installation? Cooling infrastructure is rather important. I believe these are modular only in the sense that instead of building one gigawatt system, you'd build four identical SMRs. The French have made a very good case for building a single design for the reactor and generators. Customizing the cooling systems for the generators is trivial from an engineering standpoint. Build cooling towers or pump deep ocean water, it doesn't change the reactor or turbines. Small modular factory produced generation III /IV reactors (especially breeders) are indeed very promising alternative to conventional large reactors. Several companies are looking into such designs lately (TerraPower, mPower, NuScale, Flibe Energy...). Lets hope NRC keeps unnecessary red tape to a minimum. The sooner we can massively deploy them, the better for fossil energy phaseout. "How modular can they go, when each cooling/water system will need to be unique to the physical landscape of the installation? Cooling infrastructure is rather important." Very small nuclear reactors can be efficient because the cost of transport of electricity can become significant. Cooling as the article states becomes simpler and for very small reactors does not require any fancy pumps at all. If it is possible to make small reactors in a modular way (which it is) there could be good reason for individual places to use them to generate their own power and be off-grid. Small country towns could then have a nuclear power plant trucked in and dropped of instead of a gas power plant. no mention of what TYPE of reactor? if this industry is going to make a comeback, and i would guess scale down high volume could be a good model, are we or are we not talking about gen iv breeder reactors? As I understand it, the thorium reactors that India and China are now building are small enough to power small communities - eventually individual houses. After all when the US invented the thorium reactors in the early 60s it was for the purpose of powering aircraft. My concern is that the uranium industry and it's long time ally the military industrial complex will continue to force the development of melt-down prone uranium reactors - over the adoption of non-meltdown thorium reactors. Thorium is also dramatically cheaper than uranium because its 400 times more abundant. There's a lot of unimaginably big money behind the uranium reactor industry and its weapon's grade plutonium by-products that come from it and they will do everything possible to maintain the status quo with uranium - no matter how much of the world they destroy. The fact that we are still discussing uranium reactors at this point - should tell us all just which tail is wagging our dog in the US. "The Toshiba 4S has been described in some promotional articles as a nuclear battery, but as attractive as the plant is, that is too simplistic a description. 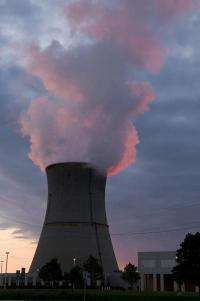 The plant is a small, sodium cooled fast reactor with a rather technologically advanced, compact steam turbine secondary system. " From an economics standpoint, you want a range of available production capacities to fit local needs. Big reactors are fine if the demand for their power isn't far away. If it's far away, the infrastructure to move that power is expensive. Better to put in smaller power plants close to demand. We don't need that lesson taught to us. The lesson we need taught is how to produce safe, inexpensive reactors with a range of production capacities to meet varying needs. That's an engineering question, mainly, and it's a question the US isn't taking at all seriously. Uranium and plutonium reactors are expensive, higher-risk than we'd prefer, and leave a nasty, unsolved clean-up problem. Thorium reactors might not fix all of those problems completely, but they should be cheaper, smaller for a given output, better suited to fail safely, no water is required, there won't be any hydrogen explosions or runaway core meltdowns. So why aren't we working on them? Since you're for the use of nuclear reactors; what say we dump the nuclear waste in your back yard? Then you can come to appreciate just how 'safe' this technology is. After all, the nuclear waste will be safe in about a million years or so... you can deal with that, right? Or are you one of these "Not in MY back yard" sorts, that think it's OK to dump toxic waste anywhere but near where YOU live? If we are not willing to have spent nuclear waste in our back yards, we should NOT have nuclear plants to generate power. They are simply THE dirtiest way to boil water ever devised. The waste from these things will not decay for millions of years. Q - How long before there is so much waste there is no safe place to put it? A - there is already too much; and much debate on how to deal with it. NO Bill GATES / Chinese Breeders please ! Atleast not until I get my radiation suit on and lead walls up. Insanity is alive and well. Cheers ! Every nuclear power plant in the US stores its high level waste in pools on site. I did a rough calculation of the volume of this high level waste. It would cover a US football field ~4 feet deep. The Finns are working on a very interesting nuke dump bored into their local bedrock. India's Thorium program uses it to blanket the uranium for more fertile material since they are sanctioned. That may change if Australia sells them Uranium, then they will drop Thorium even though they sit on huge reserves. China's Thorium program is the liquid fluoride molten salt LFTR which they are liberally taking from Oakridge and good luck too. I don't think your concern over the military control over commercial plants is valid, separate programs. The commercial industry doesn't make weapons grade Pu239 since it is contaminated with Pu240 a weapons killer. DOD makes/made all the weapons Pu it ever needed. Th232 is about 3-4 times more common than U238 and 400* more than U235. The LFTR would burn 1 ton of fertile Th232 to give 1GW/yr but it needs some fission material to breed it, any of U232, U235 or Pu239. The common Uranium reactors use about 100 tons of fertile U238 and 1 ton of U235 to produce 1GW/yr. The solid waste includes Pu though. Regarding "waste" - that is a problem of current once-thorough reactors. Designs such as TWR, LFTR and IFR (S-PRISM) produce only small amount of shortlived waste (300 years to decay to background levels). In fact, I would argue that even if we choose different source of energy (renewables, fusion..) we need to build them anyway, just to burn our current long-term waste stockpiles. Dumping it underground is not really a solution. You need to learn about how all the elements came to be, try reading up on supernova and neutron flux. Then learn about what half life means. High level nuclear waste that contains Pu is indeed dangerous and expensive difficult to store or process. Pu half life is 20k years so 100k years and its still 3% left and its hot and poisonous. But some reactors can burn almost any high level waste down to short lived wastes. The Thorium LFTR burns fertile Th232 instead of U238 and it uses U235 or Pu to get the thing cooking. After most of the Th is burned, the waste has 10,000* less Pu than an equiv Uranium reactor would and the waste stream would be reprocessed in 5 yrs to extract valuable medical isotopes like Technium as well as rare earth metals. If I owned a 1GW LFTR the waste stream would indeed be very valuable after a short cool off and I would guard it from theft. Coal plants emit more Uranium to the air than nukes keep safe on the ground. Calm down do some reading. I wish Bill Gates all the luck with his breeder design but the Chinese will likely stay with current Uranium PWR designs and the Thorium LFTR they are borrowing from Oakridge. I wish BG would take the Th LFTR too, it is just a better design that mitigates almost all the problems of Uranium designs, like 100 times more fuel efficient, 4 times the fuel, 10000 *less Pu in the waste, 300 years and back to background levels, contains valuable material in the stream which can be processed in 5 years. Also LFTR engines can be treated as thermal replacements for oil or gas use in industry. They could be used to synthesize liquid fuels like DME, ammonia, even hydrogen, plus they could desalinate water. Whats not to love about LFTR, see energyfromthorium com to learn more. The basic design was done 50 years ago but was put aside since it couldn't makes weapons material. Nuclear plants uses 100-1000 times less land than Solar PV. Also animals survive there see treehugger croc story. I almost forgot, LFTRs can't blow up, they are normal pressure, no need for Steel containment vessels, if they do overheat they passively shut down. Flick a cooler shut off switch and it will shut down, it is a liquid chemistry process that emits loads of heat to a heat exchanger. The uranium PWRs that we have today are a whole lot more complex to shut down, they can be designed to be passive, I wish they all were so I wouldn't want to be near any PWR accident. The Fukashima reactor worked very well, the diesel backups were flooded out, they should have been much higher up, that caused the reactors to fail. Most of the opposition to Thorium LFTR will likely come from PWR folks. The article says SMRs could be $4/w. I see a new Solar plant has gone up in Long Island, it only produces a continuous 4.5MW not the 32MW nameplate and it cost $298M, that is $65/W. It also uses 43 acres/MW while some old Nukes use 36 acres/GW (San Onofre). For nuclear more land is for buffer. I see the safety advantage of a small gas cooled reactor because if all control systems fail it will just dump heat into the surrounding air just like a power tranformer so no meltdown is possible. My concern is that the uranium industry and it's long time ally the military industrial complex will continue to force the development of melt-down prone uranium reactors - over the adoption of non-meltdown thorium reactors. Thorium is also dramatically cheaper than uranium because its 400 times more abundant. There's a lot of unimaginably big money behind the uranium reactor industry and its weapon's grade plutonium by-products that come from it and they will do everything possible to maintain the status quo with uranium - no matter how much of the world they destroy. The fact that we are still discussing uranium reactors at this point - should tell us all just which tail is wagging our dog in the US. If only they classified coal fly ash as nuclear waste (or hell, even just toxic waste! ), then things could begin to change in a meaningful way. It is definitely toxic, is radioactive, and their idea of containment is a shallow wall in-between the fly-ash pond and a lake/river. Note the statement: "An unknown factor that will affect the future of these plants would be the terms of any new clean-air regulations that might be enacted in the next year" - Thank you Big Government! In Denmark they already use small, strategically placed power plants. These power plants supply heat to the local populace. By using the excess heat produced by the power plant, it comes closer to 80% to 90% efficiency. If someone we could use the above plant to heat towns and cities, usually transferred via hot water, it could be a very nice bonus. But I'm not sure if these plants are compatible with such a process. The consumer pays for both the electricity and the heat from the energy company. What often times occurs is, heat is required but electricity is not required, so the plant is turned on when needed. The excess electricity is shipped off to Germany, Norway, and other local countries. In Norway, for instance, they use it to pump water into a Dam, creating a large battery. It's an interesting balancing act of energy storage and generation.